One gown, two looks! 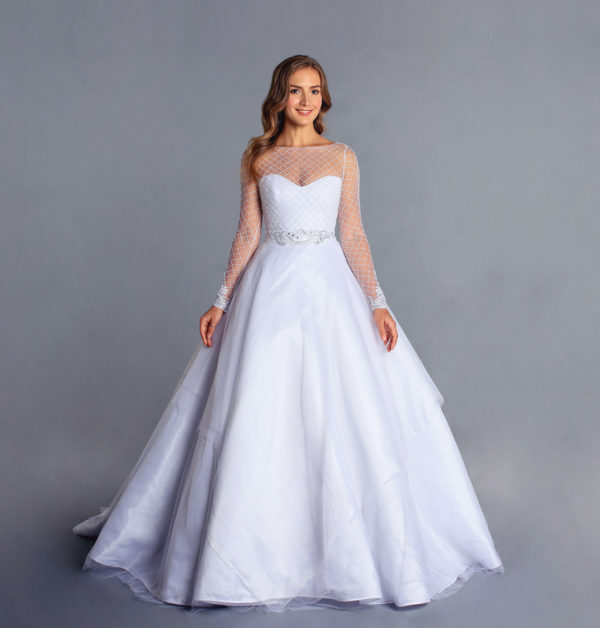 Wear that long sleeved top with embroidery and beads for that modest look for the ceremony and go comfy and fun with the strapless look for the reception. Intricately beaded belt matching both looks.